A modern marvel of construction, the Titanic was the largest and most luxurious passenger vessel of its time. Thought to be unsinkable, the Titanic was equipped with eight watertight compartments on the hull of the boat that would close if water entered them allowing the Titanic to stay afloat. The sheer size and technological advancements present on the Titanic was the main reason why passengers and crew believed the ship to be unsinkable. Many individuals shared the sentiments of the Titanic being unsinkable and there are many different quotes to prove it. One of the most ironic maritime disasters in history, the Titanic met its fate after striking an iceberg in the middle of the North Atlantic Ocean. Although the watertight compartments did help mitigate the amount of water that the ship took on, five of the eight were flooded and caused the weight to be too much for the ship to bear. 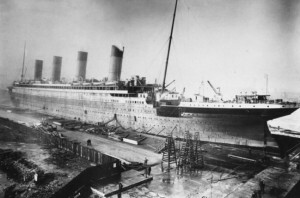 Many believe that if only four compartments were flooded that the ship would have had no problem sailing back to harbor and preventing the sinking of the Titanic. Unknown Titanic crewmember to embarking passenger, Mrs Sylvia Caldwell. “Certainly there was no sailor who ever sailed salt water but who smiled – and still smiles – at the idea of the”unsinkable ship”. 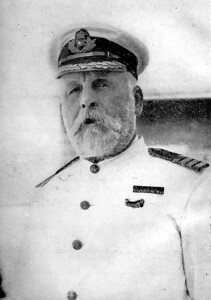 Charles Lightoller, in Titanic and Other Ships . I never saw a wreck and never have been wrecked, nor was I ever in any predicament that threatened to end in disaster. Overconfidence seems to have dulled the faculties usually so alert. Senator Smith, on Captain E.J. Smith. The captain can, by simply moving an electric switch, instantly close the doors throughout, practically making the vessel unsinkable. Irish News and Belfast Morning News, June 1st, 1911, on the incomplete Titanic. We believe that the boat is unsinkable. Philip Franklin, Vice-President of White Star Line, 8-00 a.m., April 15th, 1912. There was too much brag and not enough seaworthy construction. Sir James Bisset, on Olympic and Titanic. Titanic, name and thing, will stand as a monument and warning to human presumption. The Bishop of Winchester, preaching in Southampton, 1912. One of the aspects of the Titanic that actually did prove to be unsinkable was a passenger by the name of Margaret Brown. An American socialite, activist, and philanthropist, Brown became famous for helping passengers onto the Titanic lifeboats. Refusing to board a lifeboat herself, she was finally convinced to board lifeboat no. 6. She was called ‘unsinkable Molly Brown’ because she took the oar of lifeboat 6 and began going back to look for survivors. It is unknown whether the efforts actually saved any passengers in need, but Molly Brown undertook the leadership efforts to look for survivors. Brown was commemorated for her efforts in helping passengers onto lifeboats putting their lives ahead of her own. Unsinkable Molly Brown is one of the most famous Titanic survivors and the focus of one of the most famous Titanic survivor stories in history.